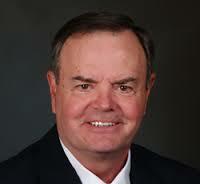 ​Daniel C. Weber founded the Association of Mature American Citizens in the summer of 2007. 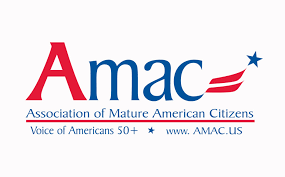 A brief look into his background may give our members an idea of how AMAC was created and what it hopes to accomplish. As a boy, Dan’s first job was delivering newspapers for Newsday, the Long Island, N.Y. newspaper. The third child of five in a family with a moderate income, Dan learned early that if he wanted something he had to earn it. Blessed with good teachers from both Catholic and public schools, Weber learned about honesty, decency, fairness, and what “work ethic” was all about. At age 16, and without any start-up money, Dan started his first business with three friends. The landscaping business he and his friends created enabled him to buy his first car, demonstrating the results of good, hard work and determination. Two days after graduating from high school Dan enlisted in the United States Air Force where he served for four years before being honorably discharged. During his service he was named “Airman of the Month” while on a base with over 5,000 personnel. Mr. Weber owned and operated a successful family insurance business for over 30 years before retiring to form AMAC – an organization similar to the AARP. Only Weber has a different focus. In his opinion the United States is going through a period of drastic change that is tearing down the traditional values of our country. A proud defender of free enterprise, Dan Weber feels we have the greatest economic system ever devised by man. Presently, he is working to retain our private health care system and prevent the government from turning it into socialized medicine.